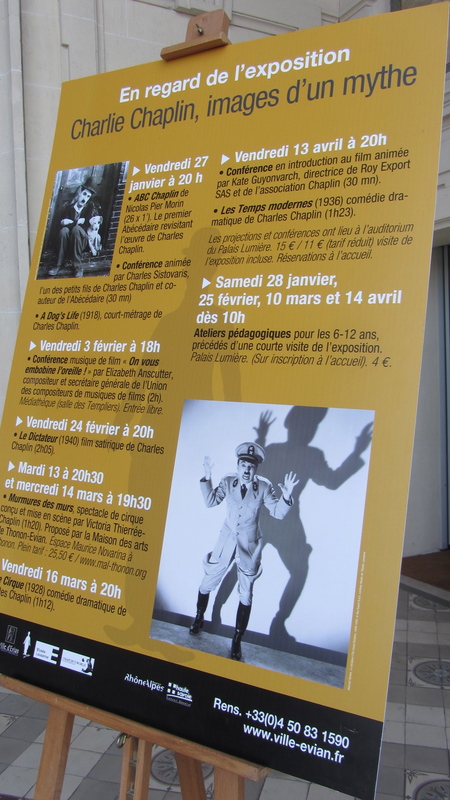 While the museum dedicated to the life and work of Charles Chaplin - Chaplin's World - is not ready, a good choice for anyone traveling in France (or even the Swiss Romande) is the exhibition "Charles Chaplin, images d'un Mythe," which will last until May 20 at the Palais Lumière in Evian. That same water! The exhibition is not very big, but extremely rich, composed of film clips - including an unprecedented - posters, newspaper articles and magazines and also a series of wonderful photos of Chaplin in its many facets: the actor, the director, composer, father of many children, the husband of several wives, the exiled ... Anyway, beautiful records of a super man who revolutionized the history of world cinema that continues today and is an icon for filmmakers and filmgoers from all nationalities. The exposure is must see close to the clothes and shoes (giant) used by Charlie Chaplin in one of his movies ... From creepy! Program must for fans of Chaplin! 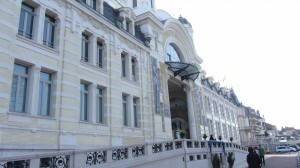 ~ By Lilia Lustosa on April 4, 2012.